Sponges, among the first organisms we would consider animals, began appearing in the oceans toward the end of the Proterozoic Era, or about 550 million years ago. 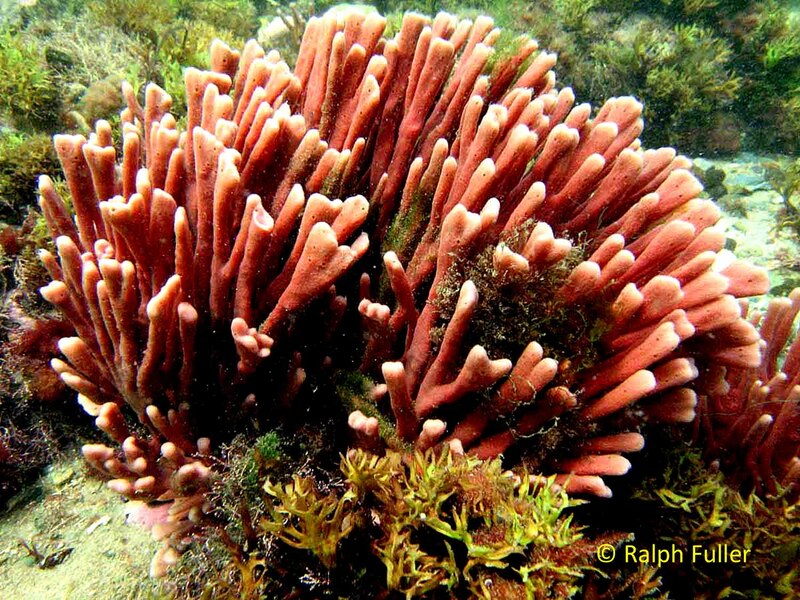 However, this palmate sponge (Isodictya palmata) appeared off Cape Cod somewhat later, around 2008. HERE’S AN IDEA: LET’S PAY ATTENTION TO THE HISTORY OF SPONGES. And sea urchins, and how much like us they are. And, for that matter, sea jellies. They’re all part of the roadway of life. This is a personal view, perhaps a sentimental one. But, it’s about a way of looking at life under the sea, as signposts on the roadway of evolution that led to us. Understanding it helps us appreciate the watery world we are visiting – and our connection to it. The ocean is where life originated. In the expanse of geological time, 99 percent of all species that have ever lived have come and gone extinct. But living signposts for the roadway that leads to us are still all around us. Nautiloids, which grew as long as six feet ruled the oceans during the Ordovician Period, some 450 million years ago. Sponges, sea jellies and other soft-bodied creatures were among the earliest animals to appear on Earth, some 550 million years ago. 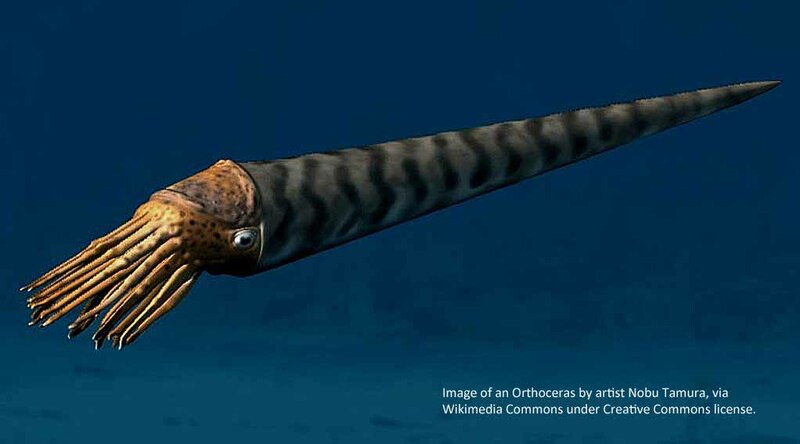 Squids and octopuses’ nautiloid ancestors first appeared some 500 million years ago and dominated the oceans for millions of years. Sharks first roamed the seas 350 million years ago. Forms of corals were in place 450 million years ago and modern reef-building corals appeared some 225 million years ago. Modern bony fishes debuted some 100 million years ago. In DNA particulars, modern sharks may be quite different from sharks that lived millions of years ago but they are basically the same animals. The same goes for sponges. But evolutionary researchers have traced human beings’ genetic origins back to our earliest direct ancestor, ever, and found us aligned with … those first sponges. More recently, earliest-ancestor arguments have been made for comb jellies, which also first developed just as the Cambrian Period, when a burst of new life forms appeared. The resemblence isn’t immediately obvious but the California purple sea urchin (Strongylocentrotus purpuratus) shares thousands of genes with human beings. Studies have found that the California purple sea urchin, which first arose some 280 million years ago, have more than 7,700 genes in common with humans. They have about 23,500. Surprisingly, we have only some 25,000. Comparisons have been made between the anatomical structure of fishes, from the time the first primitive versions arrived some 450 million years ago, and the body architecture of humans and other animals. Among our fish legacies: heads, backbones and limbs. As benchmarks, arthropods like shrimps and lobsters were in the oceans some 500 million years ago. The first arthropods, in the form of spiders and centipedes, transitioned from the oceans to land some 430 million years ago. The first four-limbed tetrapods did so around 400 million years ago. The dinosaurs arose about 200 million years ago and went extinct 65 million years ago. The primate antecedents of us homo sapiens first picked up tools perhaps two million years ago. Our Sumerian ancestors began writing down their words and numbers 10,000 to 8,000 years ago. We’re the short-timers on our planet. Actually, our staying power is still in question.